As you may have already heard, Ralph Lauren Home is celebrating a rather special birthday this season - 30 years! To celebrate the big day, they have released a special 30th anniversary candle for the holiday. For anyone that's ever entered Ralph Lauren, you'll know that at Christmas this store smells like heaven. Truly, I could spend hours just relaxing in the basement of their London flagship. In fact, if you ask any of the Ralph Lauren sales people on the floor, I'm sure they'll tell you that I'm in so often it's practically my second home, especially around the holidays. When you walk into a Ralph Lauren flagship store around Christmas, it's easy to forget you're in a store rather than a posh park avenue mansion. The decorations, the general warmth and the handsome furnishings all lend to the perfect atmosphere. However, it's the scent at this time of year that always sticks with me. Each and every season, I march down to Ralph Lauren to buy at least two holiday candles. It's always around mid-November that I make my Ralph Lauren holiday candle purchases, and no other candle is lit in this household until the start of the new year. This season, the typical Holiday scent has had a bit of makeover, as it's celebrating 30 years and all. 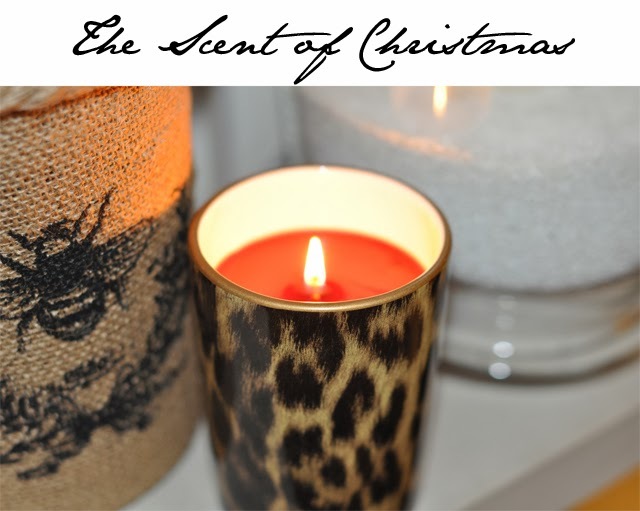 In true Ralph Lauren style, he's shaking up Christmas by putting the holiday scent in chic leopard print. Somehow Christmas just became a little cooler. It was such a lovely surprise discovering this new take on an age old tradition. Of course, it was followed by about 90 minutes of roaming around the store, from sitting in large leather sofas and pretending I was playing home, to browsing accessories by a lit fire upstairs. If you are looking for the perfect Holiday scent for the season, look no further. I'll make this promise here and now, nothing smells as sweet as a Ralph Lauren Holiday.